And yet, if you’ve ever looked at sound walls on the freeway, you’ve probably noticed that they are indeed designed, albeit somewhat minimally. A band of brown cinderblock cuts through the beige, a textured row of bricks juts out at the top, a zigzag waves along as you drive by. Sound walls are subtly decorated, and there are designers — mostly landscape architects — whose job it is to design them. There are now thousands of linear miles of freeway sound walls lining roadways in the U.S., and their simple patterns are an indelible part of the American landscape. Despite this abundance, sound walls are little more than an ignorable background architecture, something to look away from or even despise. Given their massive footprint on our built environment, that seems inordinately dismissive. Sound walls tell the history of freeway development, the growth of American auto-oriented living and the spread of suburbs in the United States — going back to before the first official sound wall was built nearly 50 years ago, back to the early days of freeways themselves. This stretch of the 110 is much curvier than the many neighboring freeways in Los Angeles, and drivers simply can’t drive as fast as they can on the bigger, straighter freeways that are far more common. But when the Arroyo Seco was first built, speed wasn’t as much of a priority as it is today. 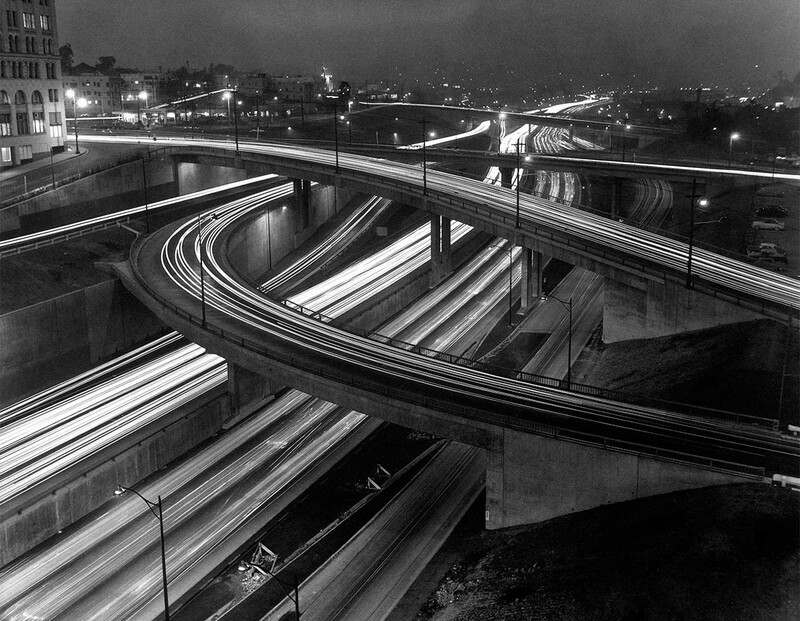 The Hollywood Freeway, as seen from the Hollywood Bowl in 1950. “Traffic in the ‘30s and ‘40s was different. People drove differently and people expected different things,” says Leslie Kendall, chief curator of the Petersen Automotive Museum in Los Angeles. “People driving along enjoyed unfolding vistas in front of them, there were wide sweeping turns and it was a lot slower.” It was more akin to driving through a pastoral landscape than battling jerks at rush hour. But as freeway building kicked into full gear after World War Two, freeway driving was less about a scenic ride than getting someplace fast. “Speeds started going up, cars started becoming lower, tires started to become wider, and that’s where a lot of the noise comes from,” Kendall says. Though engines and exhaust pipes do make sound, material and technological advances have gradually made them less noisy, and it’s the tires of cars that are responsible for most of the noise on the freeway. Kendall says that tires back in the early days of cars, in the 1920s and ‘30s, were just two or three inches wide. The cars didn’t go very fast, so traction wasn’t a major concern. By the ‘40s, cars were able to move faster and the tires were becoming bigger, four or five inches wide. By the ‘50s they were half a foot or more. Tires today can be more than a foot wide. The growth of tire size, the expansion of freeways, the rise of cars as a necessity of modern life, the mobility, the speed, the sheer amount of cars on the roads — all this has resulted in freeways that are incredibly loud. 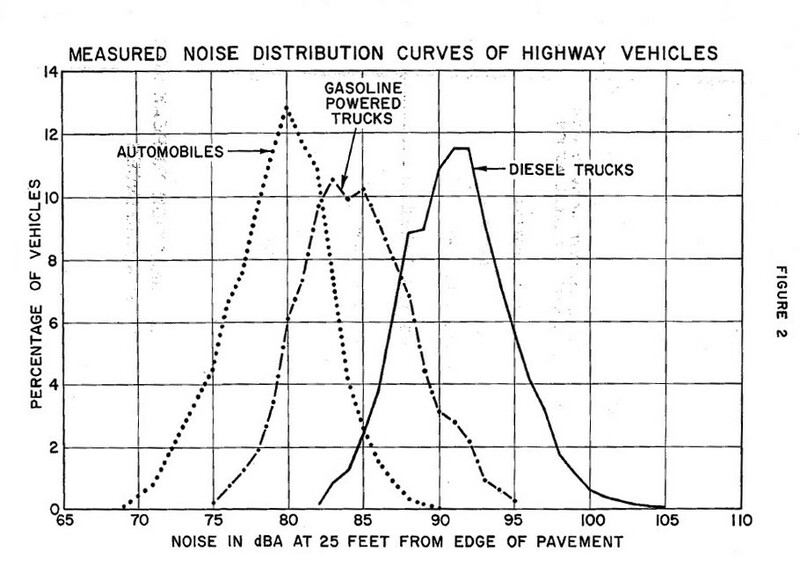 Diagram from “Can Noise Radiation From Highways Be Reduced By Design?”, California Highway Transportation Agency, Dept. of Public Works, Highways Div., Materials and Research Dept., January 1968. In the mid-1940s, after just a few years of existence, the modern freeway was already causing noise problems, particularly in Los Angeles and especially within the city’s thriving entertainment industry. 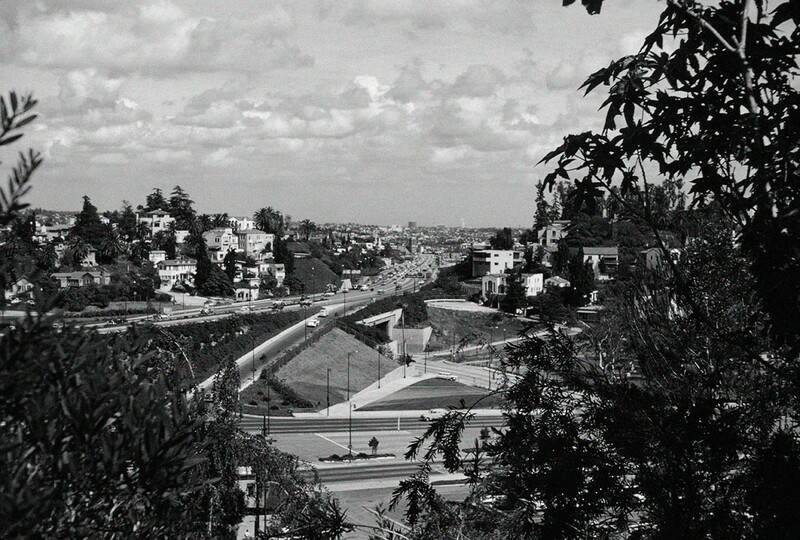 The Cahuenga Boulevard Parkway, a two-mile stretch of freeway that opened within days of the first sections of the Arroyo Seco, ran directly adjacent to the Hollywood Bowl, and it soon became clear that the noise of the freeway would become a distraction for performers and audience members alike. Working with the California Department of Public Works to study road noise near the Hollywood Bowl, acoustical physicist and UCLA professor Dr. Vern O. Knudsen would recommend in a 1945 study that “a wall or parapet, built to a height of at least 10 feet above the promenade walk, be constructed along the southeast corner of the Bowl, thus enclosing the entire seating area with a substantial wall which will serve as a sound screen against street and Freeway traffic noises.” Such a wall, Knudsen suggested, would reduce noise inside the Bowl by up to 6 decibels, equivalent to the noise drop of turning off the TV in your living room. Ten years later, in 1955, after the Cahuenga Pass had been linked up with other stretches of freeway to create the US 101 Freeway, another study of noise at the Hollywood Bowl reiterated Knudsen’s call for a wall. 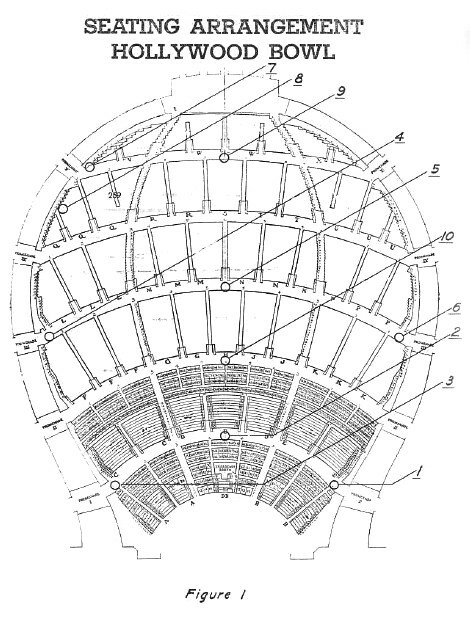 Diagram of seating at the Hollywood Bowl, with the locations of noise measurement points used in the 1954 study “Noise Levels at the Hollywood Bowl and Pilgrimage Play Theatre, Immediately Before and After Opening New Hollywood Freeway Section,” Dept. of Public Works, Highways Div., Materials and Research Dept. By this time, as freeways were expanding in and around L.A., movie producers were also struggling with the noise alongside their studio lots. The Association of Motion Picture Producers teamed up with the Department of Public Works to study freeway noise, and sound engineers from Universal International Studios brought their General Radio sound meters and Magnecord tape recorders to the sides of these new freeways to take measurements. These early studies continued throughout the ‘50s and ‘60s and helped to set the standards for acceptable levels of noise near freeways. And though the movie studios had the incentive and the equipment to investigate the issue, the noise was having a much wider impact on the thousands of people living next to the growing freeway network. Most of the early freeways were built right through existing neighborhoods, putting car lanes where houses once stood. “In greater Los Angeles, the closer you get to the city, the freeways cut through the little neighborhoods, and the neighborhoods were kind of stuck,” Kendall says. “You had these houses that are 10 feet from a major freeway, with cars going by at 60, 70 miles an hour all day long.” Clearly, there was a need for something in between the noise and the neighborhoods. A simple wall became the mass of choice. 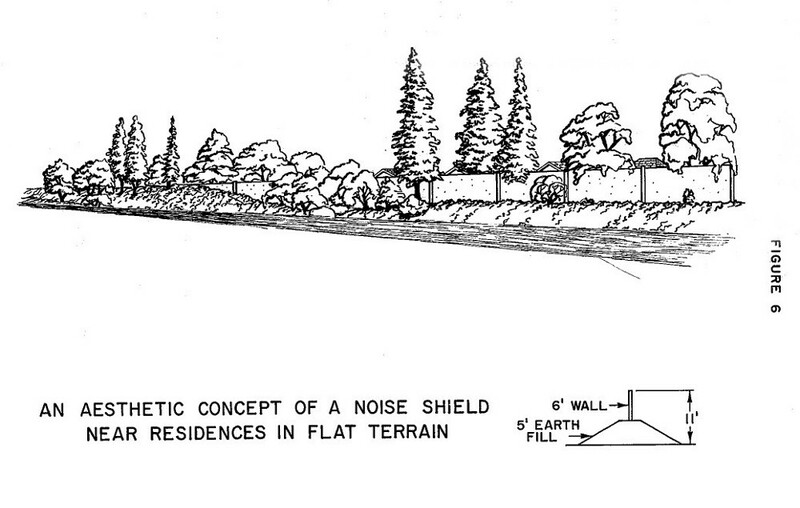 In 1968, the California Department of Public Works built what is believed to be the first sound wall along a freeway. 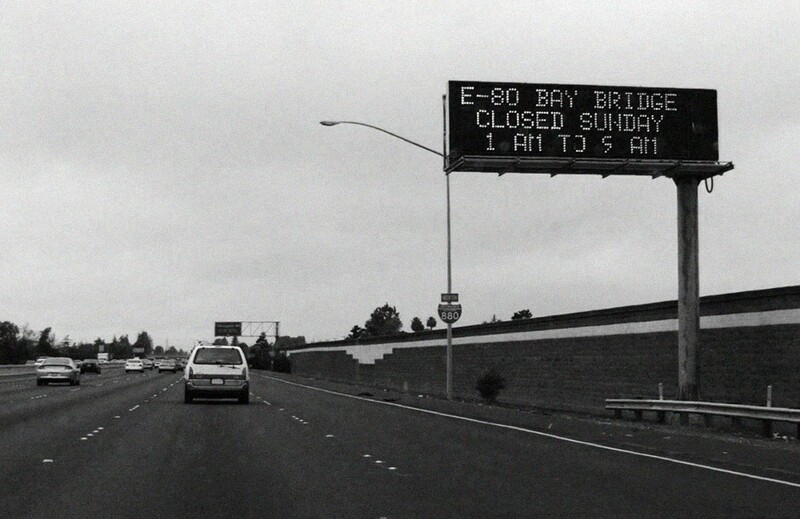 It’s still standing today, on a stretch of Interstate 680 in the city of Milpitas, in between the eight-lane highway and homes on Murray Street and Greathouse Drive. (Another wall, built before the Milpitas wall but not as part of the state’s official freeway sound wall program, stands next to Mark Keppel High School, which directly abuts Interstate 10 in Alhambra.) 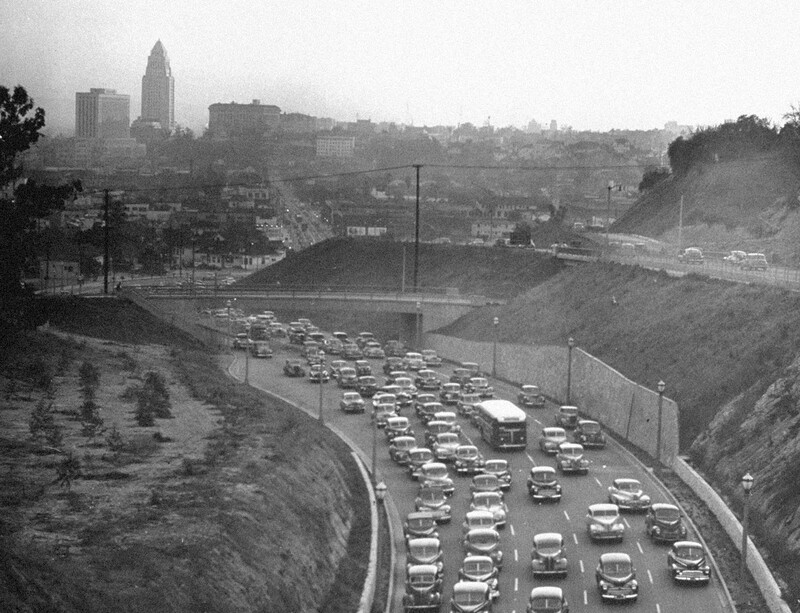 The passage of the National Environmental Policy Act in 1969 helped to legitimize concerns related to development and urban growth, including freeway noise. That led to the creation of the Noise Control Act of 1972, which aims to “promote an environment for all Americans free from noise that jeopardizes their health or welfare.” As a result, freeway sound walls began to spread. And they work pretty well. Since the first sound walls were built in California in the 1960s, they’ve risen all over the country, 12, 16, sometimes 20 feet tall. According to the Federal Highway Administration, as of 2010, there were 2,748 linear miles of noise barriers built with federal money along highways in the U.S. — though that number is certainly even larger now. Sound walls stand in every part of the country, except for Alabama, Rhode Island, South Dakota and the District of Columbia. 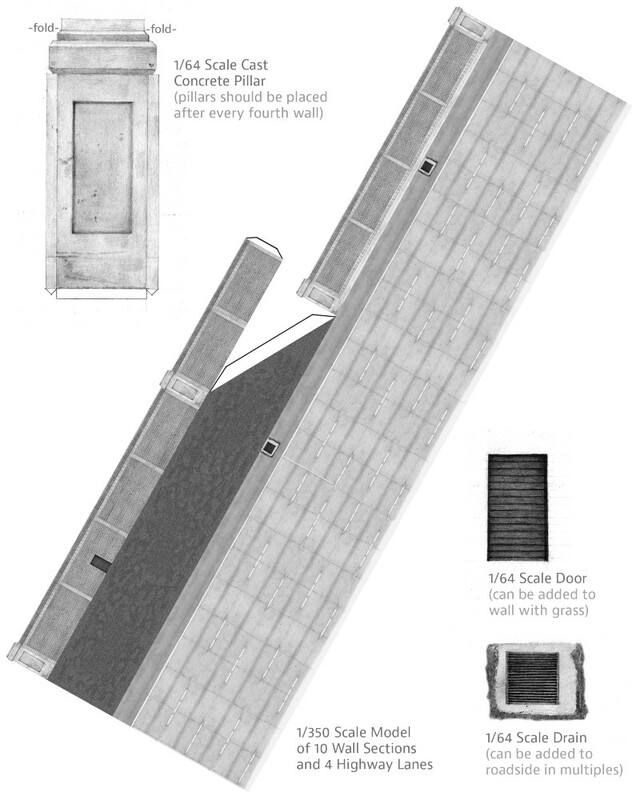 Though sound walls are widespread, they’re just one noise mitigation tool for freeway builders. Most commonly, freeways will be set below the grade of the city and their noise energy will be absorbed and reflected by their trapezoidal trenches. Other large retaining walls are also used to carve out this space for freeways, and these double as noise reducers. There are also berms, pre-cast concrete barriers and wooden fence-like structures. The Noise Control Act requires state governments to build sound barriers in between highways and housing only when new freeways are built or existing freeways are expanded or realigned. For those residential areas not covered by the law, housing developers often build their own sound walls to reduce the impact of nearby noise. But the official sound walls, the ones you’re most likely to see as you drive down the interstate or your local freeway, are built by the government. “Most of our palette is usually concrete,” says Patty Watanabe. She’s a landscape architect in Caltrans’ District 7 office, which covers Los Angeles and Ventura counties, and she and her colleagues are responsible for controlling the visual impact of all freeway projects. That means roadside plantings, rest stops, medians and a lot of sound walls. She and her colleagues are well versed in the usage of concrete aggregate cinderblocks: smooth “precision” blocks (203 mm by 203mm by 406mm); rougher “split face” blocks (203 mm by 203mm by 406mm); fluted “split face” blocks (254mm by 203mm by 406mm); short “precision cap” blocks (203mm by 50mm by 406mm). Beige, brown, tan, light tan, red, grey, sand. Watanabe pulls out construction documents for a typical sound wall project. It’s a simple design of light tan, with two stripes of textured light tan blocks running lengthwise near the top and bottom, with a skinny light tan row of “precision cap” blocks at the top that is interrupted every so often with a big, bold capital T shape of light tan fluted split face blocks in the upper half of the wall. “We’ve taken a lot of advantage, I think, of using color and texture,” she says. Simple pieces making simple geometries, like the low-definition pixel drawings of an early video game. You can almost see it sidescrolling by your passenger window. “You’re going to see a lot of the same things, and there’s a reason for that, because those are the things that are in stock in the maintenance yards. And if you have to get something different then it’s more costly. We’re trying to be good stewards of the public funds,” Watanabe says. According to the Federal Highway Administration, the average cost of building a sound wall is $30.78 per square foot; between 2008 and 2010 roughly $554 million worth of sound walls were built. About 75 percent of all noise barriers are built of either cinderblock or pre-cast concrete. “We’re under constraints and we’re trying to be inventive and creative within our constraints,” Watanabe says. 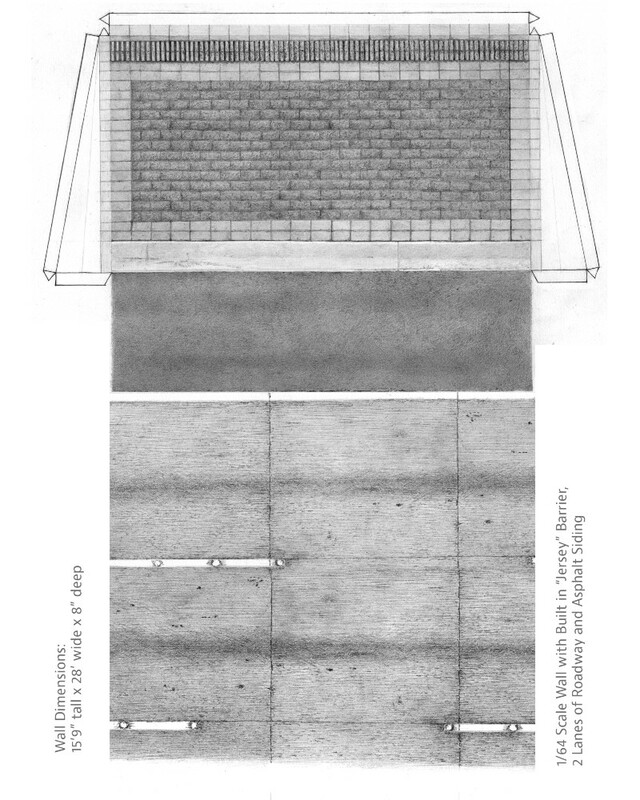 In an August 1997 article for The Atlantic Monthly titled “Noisy Highways,” Philip Langdon wrote, “The aesthetic progress of highway departments has been agonizingly slow.” But he also went on to note that, by seeking input from residents living near planned sound wall projects and enlisting artists to advise on their designs, some sound walls have become well loved. That may be an uncommon example, but there are other instances of elaborate designs being built into freeway walls or intricate sculptures being added to roadsides and overpasses. Concrete stamping techniques and improvements in textural materials have made it easier to add a dash of artistry to freeway infrastructure. 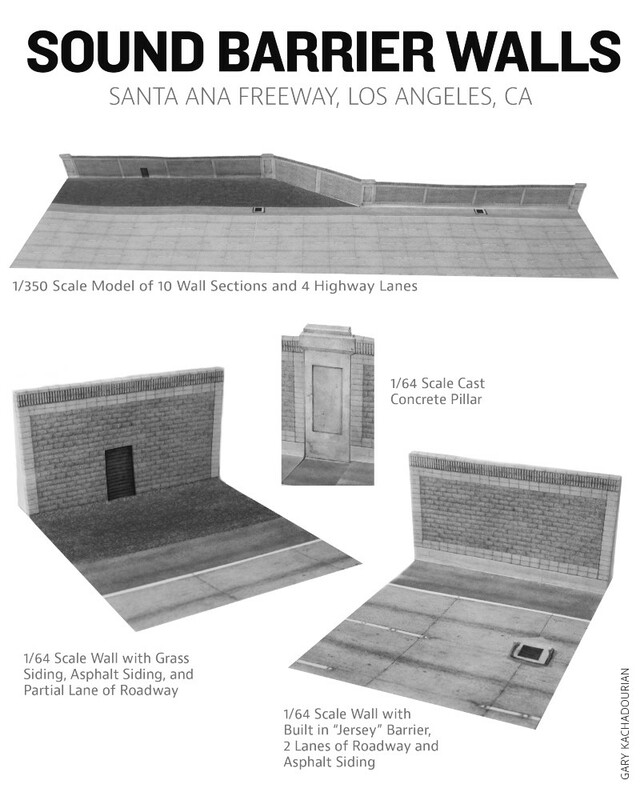 But, for the most part, freeway sound walls are simple, minimal and cost-efficient. One of the major constraints guiding their design is safety, and Watanabe says the designers at Caltrans have to be careful not to make sound walls too interesting, to keep drivers from becoming distracted. To a certain degree, the sound walls are designed not to be noticed. But the visual elements can actually help keep drivers alert, in a subtle way. Watanabe says that long canyons of sound wall can have an almost hypnotic effect on drivers. She and other designers try to break up the monotony. “If they become too much of a corridor then drivers get dozey and drowsy and sleepy,” she says. The designers use vertical elements, like concrete columns or textured block patterns, to add variety to long stretches of horizontal designs. But she understands that people — or at least most people — aren’t driving around on freeways to look at cinderblock art. She says it doesn’t bother her that sound walls are little noticed or even ignored. “We don’t expect anybody to stop and look,” Watanabe says. “And in most cases they don’t.” That sentiment highlights the fact that these structures, designed to be seen and not seen, have become an almost natural part of the American landscape, blending into the background of the built environment, fading into fuzz like the din of a city or the perpetual clamor of trains in the distance. To give readers an opportunity to better understand the constraints under which freeway sound walls are designed, re:form has commissioned artist Gary Kachadourian to create a cut-and-fold paper sculpture of a sound wall, inspired by Southern California freeways, that can be printed out on letter-size paper and constructed into customizable models. 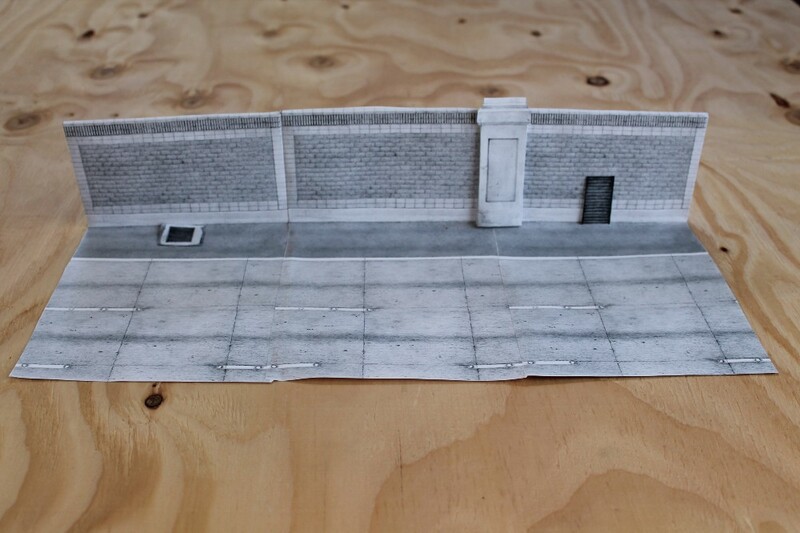 Kachadourian specializes in scale drawings and paper models of mundane urban and infrastructural settings, and his sound wall drawings are a kit of parts enabling readers to build and design their own sound walls. The palette of materials is, appropriately, limited. 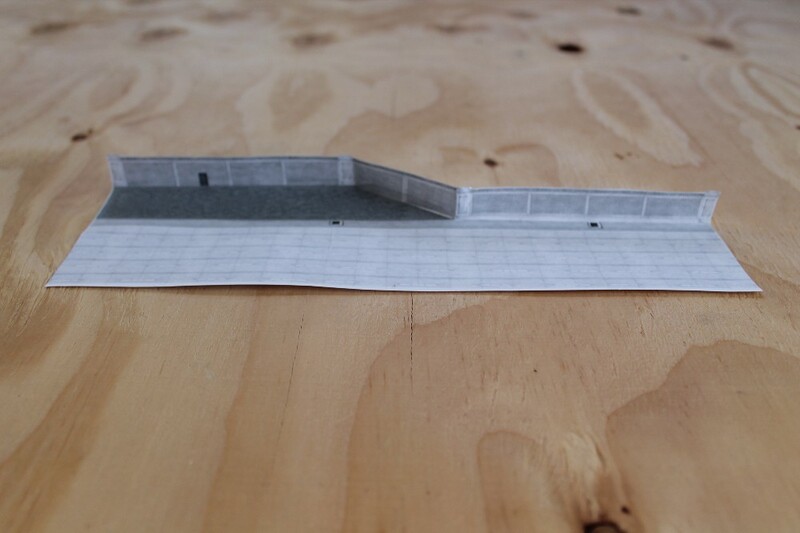 1/350 scale model of 10 wall sections and 4 highway lanes, by Gary Kachadourian. 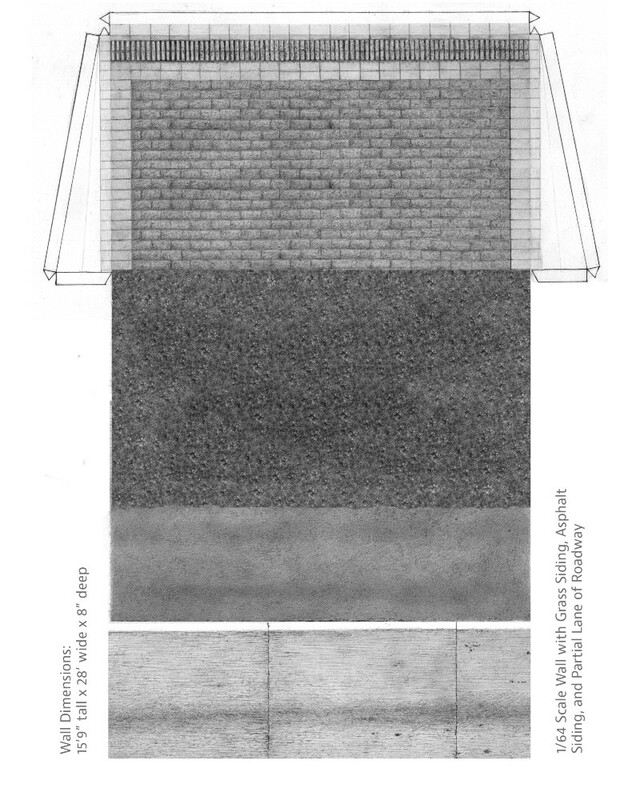 1/64 scale model of 3 wall sections, a column, a door, a drain and two highway lanes, by Gary Kachadourian.